When printing labels from CODESOFT (or via Click Print), user does not get a print dialog window (to modify print options) and one label is printed. This problem is most likely caused by CODESOFT configuration. Specifically, Printing Format. 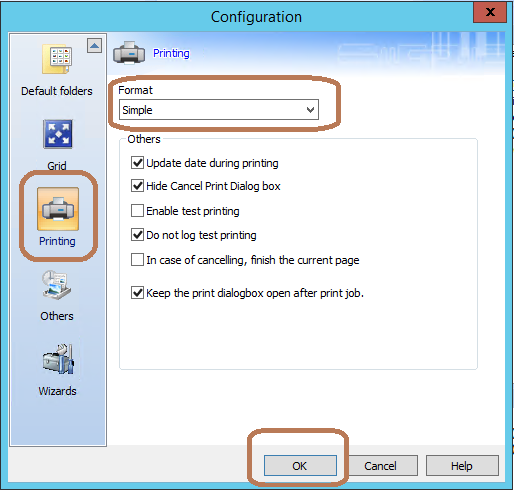 If the Printing Format is set to Direct, CODESOFT will print a single label without displaying the Print Dialog windows..